Ducor utilizes a flaring system as part of its processing plant. Via the flare, combustible gasses are discharged and burnt off in a safe and environmentally responsible manner. 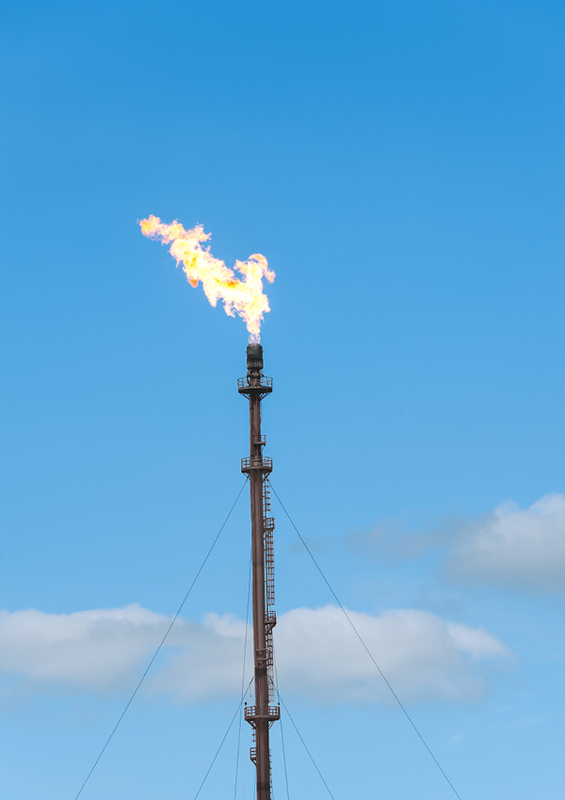 The flare stack consists of a steel tower on top of which sits a burner. This flare stack is safely situated some 98 metres from the production installations. The flare is a safety system and is not used in any way as a waste-processing system. Flaring occurs as part of the start-up and shutdown of the production process. When the flare is in use, it produces noticeable light, sound and sometimes black smoke. Flaring is performed primarily when the production process is disrupted or if maintenance work is being performed on our plant. Flaring is a safety measure designed to prevent the pressure in the installations from becoming too high. The residual gasses in the installations are discharged via the flare and are burnt off. This guarantees that the work in the plant can go on safely and healthily. When the production process is shut down, the flare becomes more active for a time, but the start-up of the plant may require even more time. The decision to shut down the plant completely versus continuing to operate at a lower capacity must always be considered, but either option is accompanied by flare activities. In other words, flaring cannot always be avoided. Ducor does everything it can to limit the number of flaring activities. We do this by investing in the right equipment – equipment which supports the stability of our processes. As a result of an eventual power failure, not enough steam may be available in the installation. This results in reduced flare efficiency, and soot and unburned gasses may result. Luckily, power failures are uncommon. The gasses are burnt off in the flare at high temperatures and with the addition of steam. Under these conditions, no soot is formed. Both the addition of steam and the burn-off may cause noise nuisance. Does flaring have an impact on the environment or on human health? Can it make me sick? Flaring is (sometimes) necessary for safety reasons, but companies would rather avoid it, if possible, for their sakes as well as for the neighbours. The majority of the gasses discharged are burnt off. During combustion, carbon dioxide and water are formed. If the combustion is incomplete, then carbon monoxide and soot particles are formed in addition to the carbon dioxide and water. This incomplete combustion can be prevented by adding steam to the discharge. This intensifies the mixing of the gas with the air and therefore improves combustion. However, the injection of steam may be a noise nuisance for the surroundings. Calculations have shown that the air quality standards for carcinogenic substances laid down by the government are not exceeded as a result of soot flaring. During the assessment, the negligible risk level was tested. The GGD (Gemeentelijke Gezondheidsdienst – Local Public Health Service) is also of the opinion that occasional heavy flaring does not create an extra public health hazard at ground level.